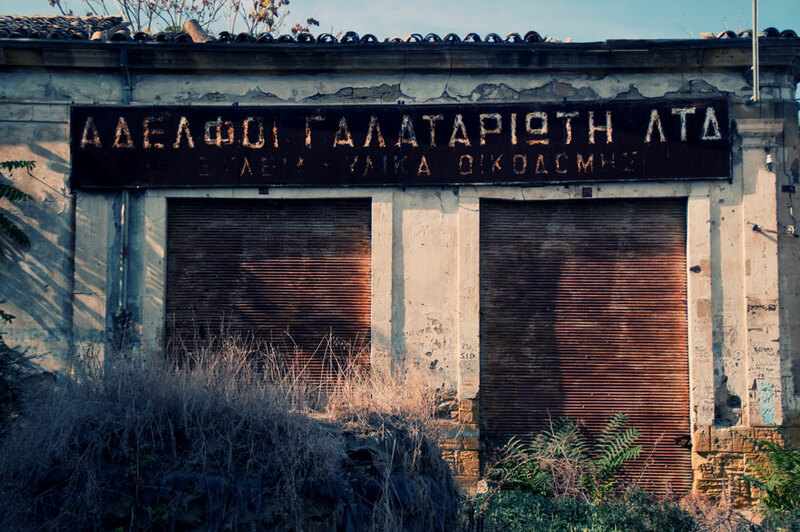 I was very exited when my Irish photographer friend told me we could get permission to visit the UN Buffer Zone, ‘the no man’s land’ dividing the island from east to west and keeping two communities apart in Cyprus, known also as the Green Line. It was first established in 1960s becoming impenetrable after the physical and communal separation of the city following the July 1974 incidents. As a Cypriot, I was born in Nicosia, where all my childhood memories belong, and lived in this city most of my life. As a child, I have been to the area when it was accessible for all, just like most of the other Cypriots, where we left our childhood memories. For me, it was so ironic that a person from another part of the world was getting ‘permission’ for a Cypriot to access to this ‘no man’s land’ of her own country. This area was only accessible for the UN soldiers after 1974 that was keeping the Turkish and Greek soldiers apart on the watchtowers along the Buffer Zone. I was very excited and didn’t know what to expect to see, as it was an unknown for us, as Cypriots, for years. This is how I physically started my photography project and, by getting permission from the UN, visited some other parts of the Buffer Zone a couple of times. I have decided to shape my project around the Nicosia section of the Buffer Zone, which is around 180 meters long in total and now only the UN soldiers and the wild life have access for most of the parts as some parts have already transformed to the areas of opportunities for both communities to come together and learn about each other’s culture. 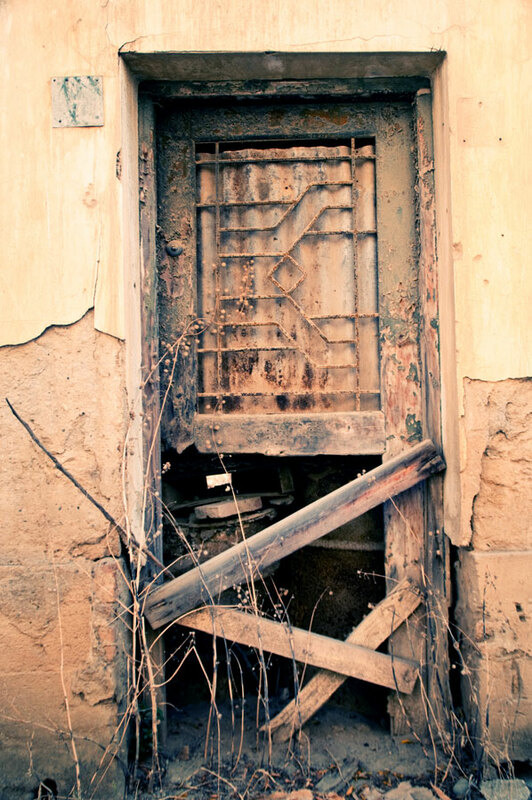 Nicosia is the only divided capital in the world and the last divided city in Europe. However, the divided city, in some ways, is a symbol of inseparability and unification as the solid Venetian city walls of circular shape surround it creating a whole. 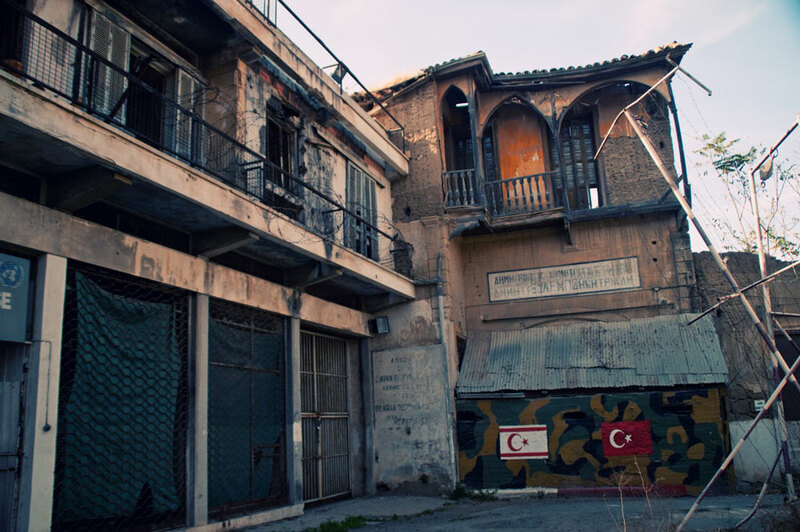 When you walk in Nicosia, it is more likely to come to a dead end where a barbed wire fencing, a concrete wall segment, sandbags, oil drums or a watchtower stops you, which is kind of a symbol of the continuing conflict. The history of this city is full of tragedy, fear and tear, conflict and war, just like the other parts of the country. In 1974, people from both communities had to leave their homes, their roots and their memories behind and move to the other side of the country. Their way of life has changed and they had no access to their houses, their neighbours and their friends for about 30 years. Although both communities could communicate with all of the rest of the world by telephone lines, it was impossible to call each other even they were living a couple meters away, side-by-side. Postal services have no connection whatsoever with the other side of the island. Imagine that you have to fly somewhere in the world to be able to send a letter to somebody on the other side five meters away from you. From 1974 until the checkpoints first opened in 2004, people were unable to cross over to the other side. During the 30 years, people of both communities have no contact whatsoever and the new generation had no idea what a Turkish or Greek Cypriot, in other words ‘enemy-others’ looked like and the nationalist efforts in both sides escalated the negative feelings for the ‘others’ during those years. People now can cross from the checkpoints to the other side although the Green Line and the Buffer Zone is still there and while the ceasefire continues in Cyprus. The negotiations for the years had no solution for the Cyprus conflict however reunification of the island and a viable solution is the hope for the Cypriots. They want a solution that will enable them to live side-by-side in a peaceful environment.